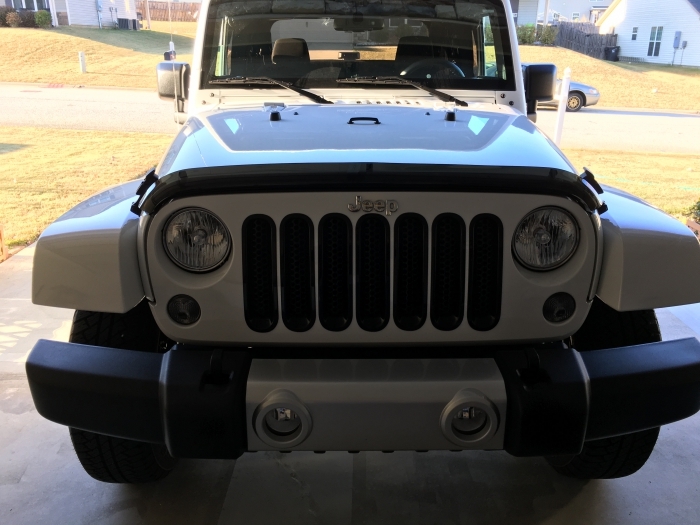 Add style and functionality at the same time with this wrap-around front air deflector for your Jeep Wrangler (part number 82210277AB). This tinted air deflector features the Jeep logo. 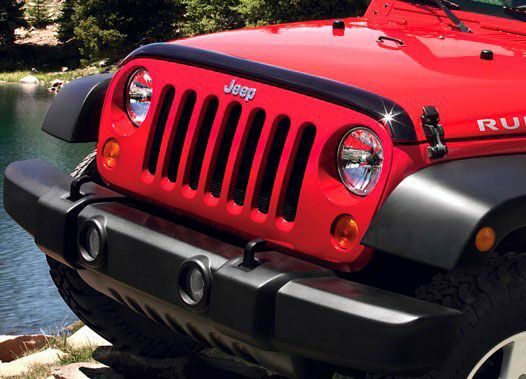 It is made of shatter-resistant plastic and is molded to fit the front of your Jeep Wrangler perfectly. It diverts the air flow to keep dirt, road spray and insects away from the hood and your windshield and looks good doing it. Very easy to install. Using a punch to divot your dril spot, grabs the dril bit for your holes. I have a soft top and can hear the air diversion on the roof. Nice product, and I would recommend the purchase. ProsGives a clean look; easy install; all you need to complete the install with visual instruction guide. ConsWeb site ordering had a glitch, had to call customer service. But quickly resolved. Looks excellent, my Wrangler has the Altitude package (everything black). The Air deflector is tinted, but it looks black....matches everything. ProsJust like the instructions say, use a punch and it's easy as pie. ConsThe instructions are all pictorial, you really have to have a skillful aptitude. 2nd accessory I purchased for my Jeep. If you like a clean windshield this is for you. Straight forward install.